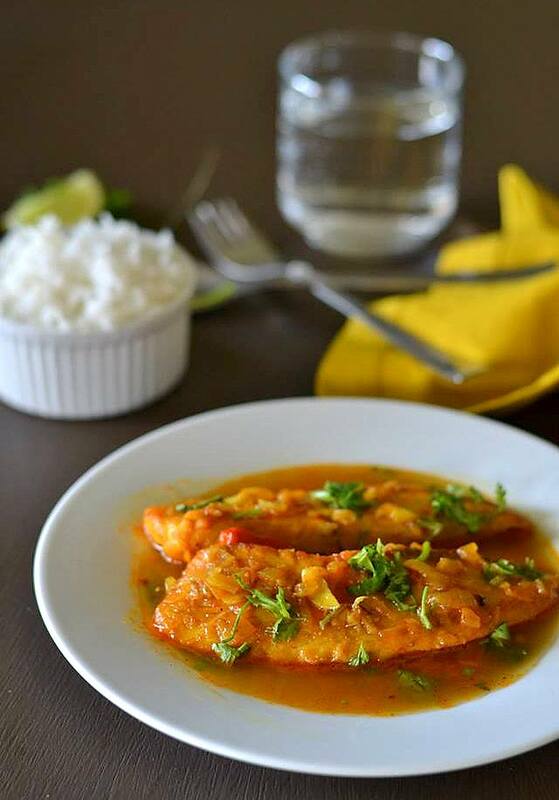 Methi Machchi is special type of fish curry, It is a light gravy dish cooked with dry fenugreek seeds. 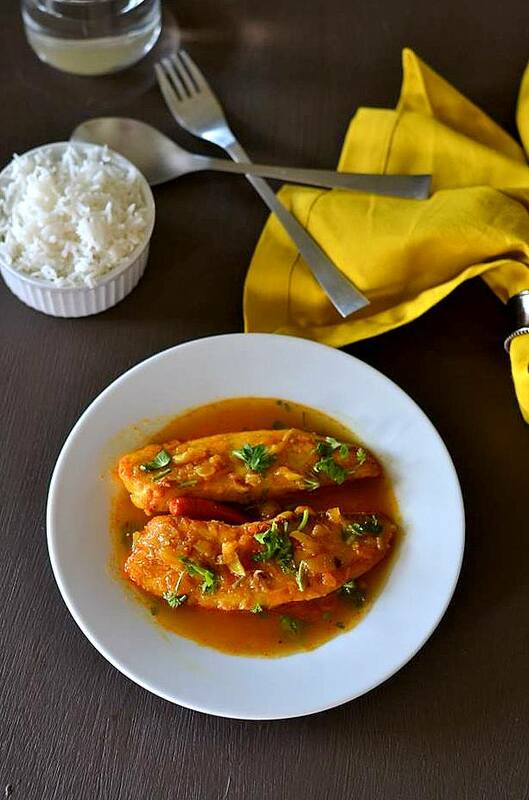 And this dry Fenegreek seeds distinguish the taste of this dish from the normal fish curry. Methi / Fanugreek seeds is quite well known as a spice in Indian and Persian cuisine. The taste of fanugreek seeds is slight bitter, powerful and aromatic. It adds a nice flavor to the dish which makes people love the smell. 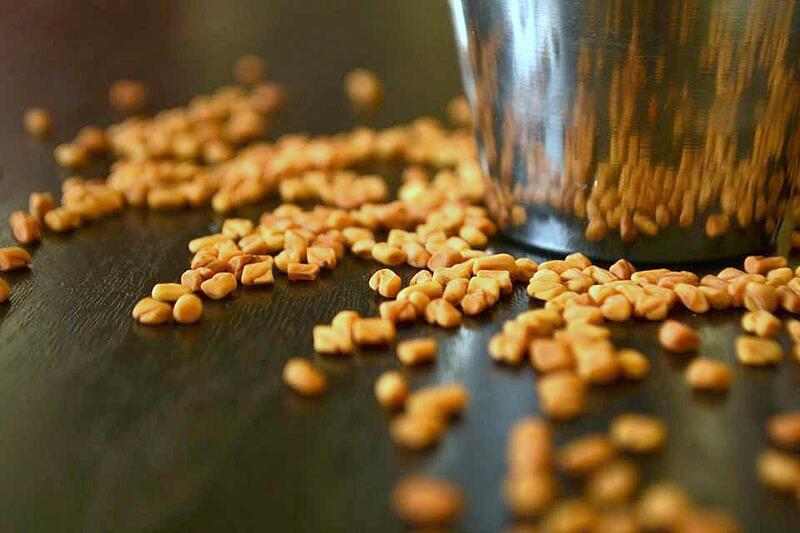 Some recent researches discovered that ancient civilization used fenugreek seeds for its health benefits, for example, very helpful for lactating women, who are diabetic and it reduces cholesterol level. Most probably, it's a Rajastani/Sindhi dish and I was introduced to this dish by one of my family friends Nupur di. First time I had this dish at her place couple of years ego. It was so tasty and so unique in taste, I didn't forget to ask the recipe and from then onwards it's a popular and regular dish in my family. 1. Cut the fish fillets into square sizes, wash and pat dry with paper towel. Sprinkle salt and turmeric on the fish pieces and mix it well. Let it rest for 10 -15 minutes. 2. In a big pan, preferably nonstick pan, put oil. Heat it up till smoke comes up and now slightly fry the marinated fish fillet on the both sides. Do not fry it for long time, just 1- 2 minutes for each side. 3. Take off the fried fish from oil and keep it aside. Add oil in the same pan, let it heat up and then add the fenugreek seeds. Once it is aromatic, add the dry red chili. You can remove the fenugreek seeds from the oil and discard it, but I skip this stage, as we liked the fish curry along with the seeds. 5. Add the onion paste, fry it nicely till the color changes to light brown. Add the garlic and ginger paste, saute till the raw smell goes off. 6. Add tomato and stir it well, sprinkle some salt. Once tomato gets soft, add the turmeric, coriander and chili powder. Keep stirring till the oil separates out. 7. Add one cup of warm water and salt and bring it to a boil. Once it starts boiling, add the fish fillets. Cover it and let it cook for 5-7 minutes. 8. Check the consistency and seasoning and accordingly adjust it. Turn off the gas and serve hot with steamed rice. Enjoy! Note : Tilapia fish fillet are very soft and so do not over cook. 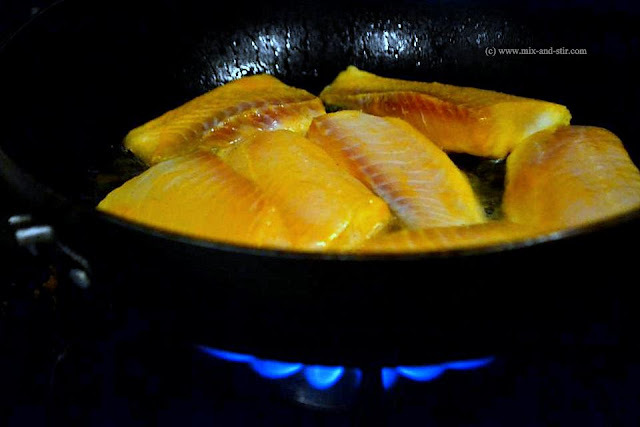 When you will fry the fish, make sure oil is very much ready for frying, otherwise it may stick to the bottom of the pan. 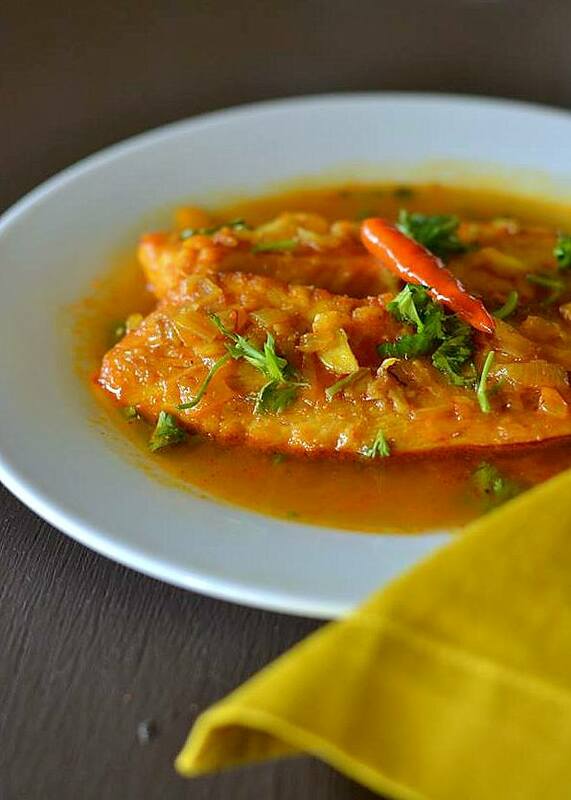 You can add the fish directly into the gravy without frying them. I'm not a big fish eater and have always hated the thought of fish in a curry, despite my love of curries! I'm weird I know. But, this looks so delicious, I have to try it soon, thanks. Thanks! :) Try it once! 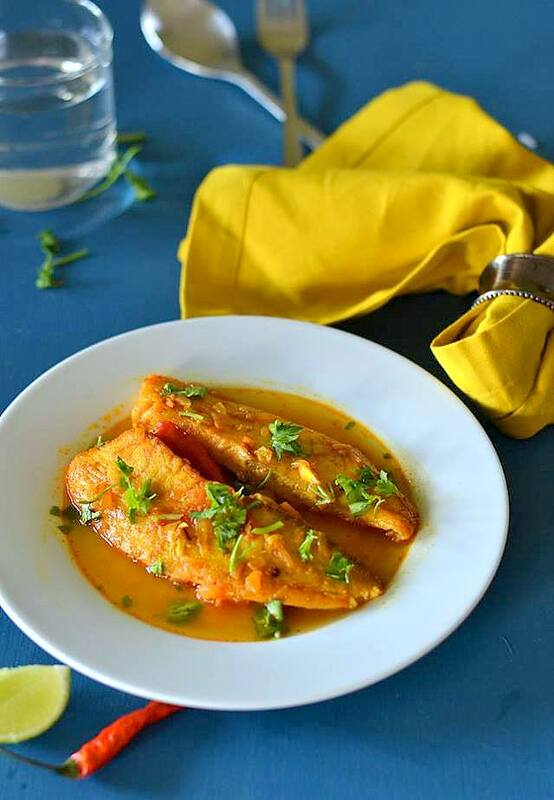 New to this blog.O M G u have such a beautiful blog.I have spent so much time here ..:) The fish gravy looks sooo yummy.Wish I could taste it now!